International Divestment Day is this coming Friday. Join us at UCT (details below). See other actions (comprehensive global list), such as Pretoria University (details below), or Stellenbosch. We will meet with our bicycles in front of the Centlivres Building (opposite Leslie Social Sciences) on UCT Upper Campus at 1pm on Friday 13 February, and cycle to several different locations on campus to do a repeated short “human microphone” broadcast (see wiki for explanation) about the Fossil Free UCT campaign and why people should support us. Bring your bicycle, obviously. And please wear orange if you can. Estimated time: About one hour. Later in the afternoon, we will hang a banner over the M3. Contact: David: +27845220968. 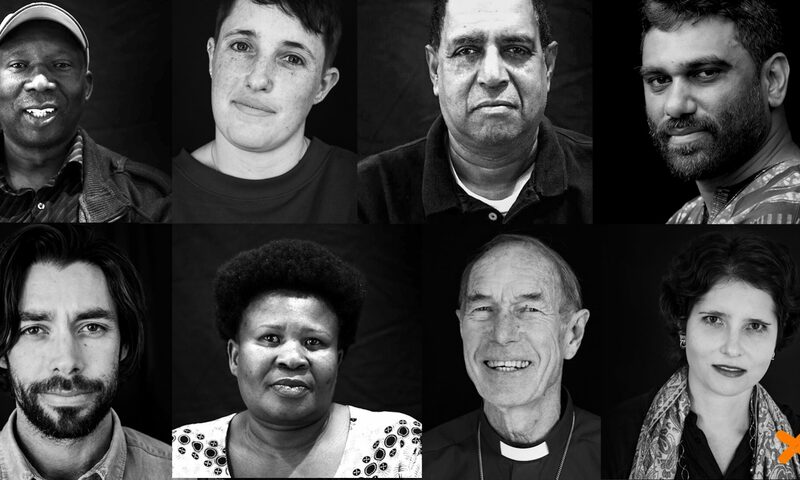 We will be doing a photo stunt where we ask the South African public to divest from fossil fuels outside the office of our President at the Union Buildings in Pretoria. 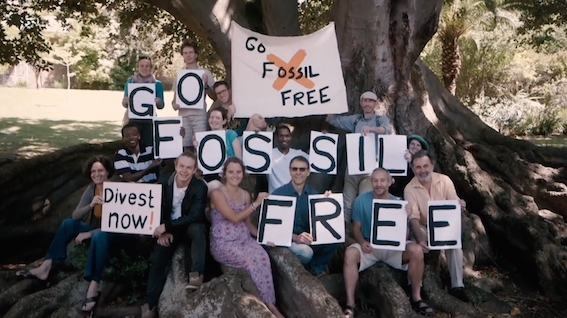 A photo stunt is a form of non-violent protest where you take a photo in an iconic location with your message depicted in the photo, so in this case: “SOUTH AFRICA DIVEST FROM FOSSIL FUELS”. Our crowdfunding effort closed on 31 January. The funds raised will help make our work over the next few months more sustainable. Many thanks to everyone who contributed. Norway’s giant sovereign wealth fund has dropped investments in coal, oil sands, cement and gold mining, citing the risks of climate change and other environmental concerns. A joint agricultural and renewable energy (RE) farm is being developed on an emerging farm in the Breede River valley by the owner, the Ashton Small Scale Farmers Trust (ASSFT) and a consortium of experienced small and medium sized German RE companies (IPD Power), in collaboration with the NGO TCOE (Trust for Community Outreach & Education) in Cape Town. 75 MW of solar capacity is planned, and 20 MW of wind energy capacity will later be added. The project is looking for potential shareholders. FFSA really likes the sound of this project, but please do your own due diligence. Details: IPD Power – Bonnievale Solar farm Information 0215 (pdf). If you only ever read one article about divestment, this might be the one you should read. Renowned environmentalist Jonathan Porritt concludes that big oil companies are now dominated by’hydrocarbon supremacists’ and are beyond reform. As a long time shareholder activist, I’ve spent more time than I can calculate filing shareholder proposals and engaging in conversation with fossil fuel companies, often in collaboration with major pension funds with large positions in such companies. I’ve engaged with ConocoPhillips, BP, Anadarko, Apache, Royal Dutch Shell, Energen and ExxonMobil on topics including carbon emissions, hydrofracking, biodiversity, human rights and more. My takeaway from these efforts, along with a lingering concussion from too much cranial contact with brick walls, is that the time for polite conversation is over. Our friends at Greenpop are holding their annual Zambia Festival of Action in Livingstone from 28 June, bringing people from around the world to plant almost 4000 trees, grow food forests, attend permaculture and other interesting workshops, enjoy live African music, connect with like-minded people, give back and get active for a positive future! Zambia has one of the highest deforestation rates in the world, but it also has some of the greatest potential for positive change – Greenpop wants to highlight all the awesome local projects there as well as be part of the eco action. More details here.